The court of the royal palace in the ancient city of Hatra. Image: Getty. Lying to the south of the modern city of Mosul, these two archaeological sites were among the best preserved in Iraq. There was only a slim chance that these impressive archaeological remains would be overlooked by IS, since an attack on them would guarantee world attention. These acts are not only an attack on the people of Iraq but also on the roots of our modern, urbanised world. So what exactly are we losing? 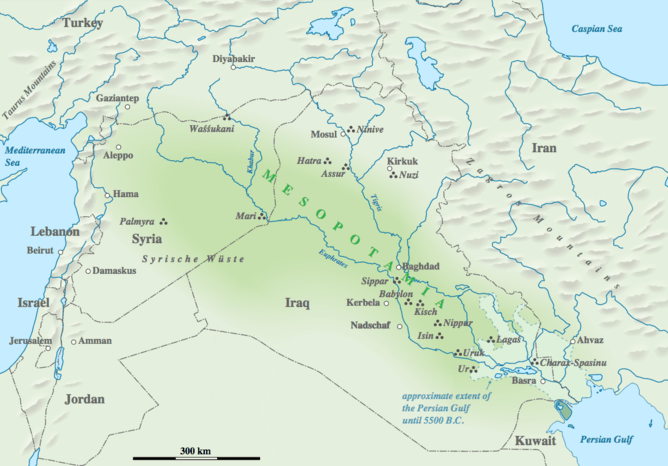 Map of Mesopotamia. Image: Goran tek-en. In northern Mesopotamia, the kingdom of Assyria developed as a powerful state. Between 900 and 620 BC it established itself as the world’s first extensive empire, unifying a region reaching from the Persian Gulf to Egypt. 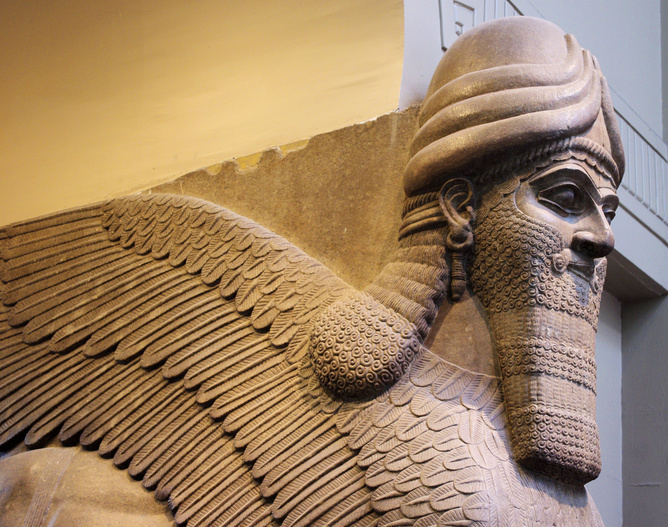 Nimrud was the empire’s first great capital city. Indeed, it was scribal administration as much as military might that held the Assyrian empire together. These buildings were centres of learning, gathering knowledge into libraries. 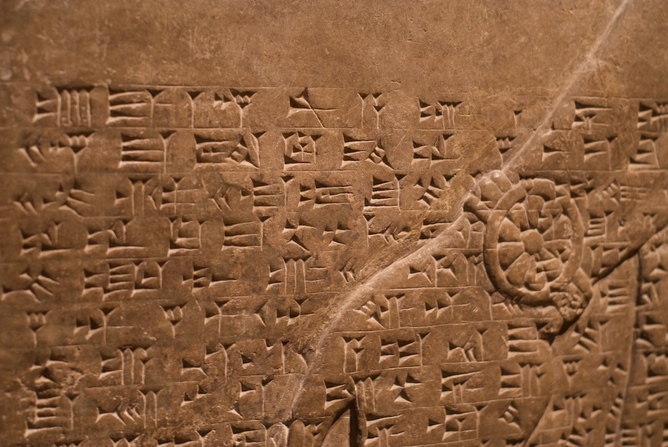 Information was written on clay tablets in the cuneiform script of Mesopotamia and thousands of such texts were discovered by archaeologists at the later Assyrian capital of Nineveh. Such was its importance and splendour that the city, known to the Assyrians as Kalhu, that it also appears in the Old Testament under the name Calah. An example of cuneiform from the West Palace of Ashurnasirpal II, Nimrud. Image: pahudson via Flickr. A winged human headed lion from Nimrud, now in the British Museum. Image: 71279764@N00 at Wikimedia Commons. The reconstruction of the palace also allowed visitors, including regular parties of school children, to experience the buildings' scale and beauty, as well as bringing scholars closer to understanding its role in the lives of the ancient Assyrians. Paul Collins is a Curator for Ancient Near East at the Ashmolean Museum (University of Oxford).